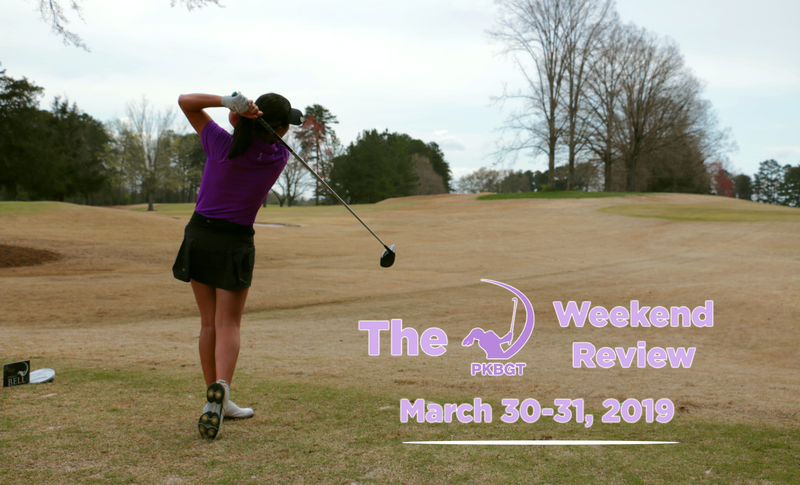 Last month, the Peggy Kirk Bell Girls’ Golf Tour held the Second Annual Linville Cup Team Challenge and Leadership Retreat. 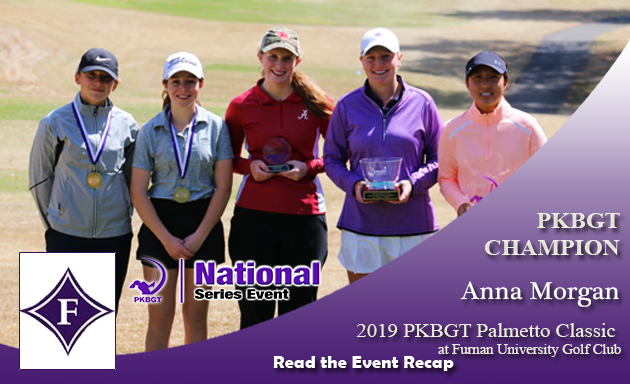 The 2019 Cup, hosted by Mid Pines Inn and GC in Southern Pines, NC, brought players together from each of the PKBGT’s regional series to compete in a match-play, team-based atmosphere. This year, the Cup featured players from five different states, including the first-ever representative from the state of Florida. Darby Hancock (Sorrento, FL 2025) earned the right to join Team Southeast with her dominating performance last spring in the inaugural season of the PKBGT’s newest addition, the Central Florida Series. Though it was her first taste of tournament golf, Hancock developed a love for the game long before she could hold a club. She credits her sister, Katie, as her introduction to the game of golf. When she was little, Hancock’s parents would bring her along to watch Katie’s high school golf matches. 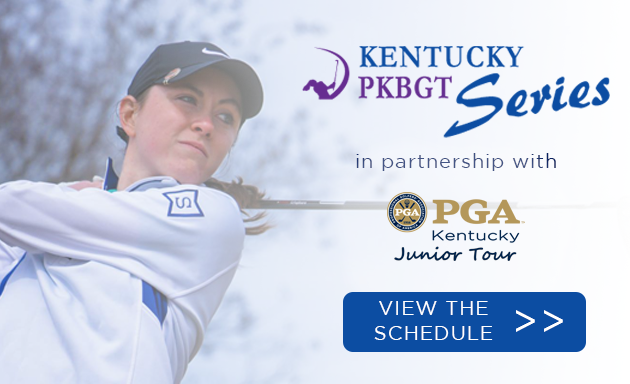 Through those high school matches, she developed a passion and desire to play golf, just like Katie. Hancock’s 2018 campaign commenced with a victory in her first tournament ever at her home course: Redtail Golf Club in Sorrento. 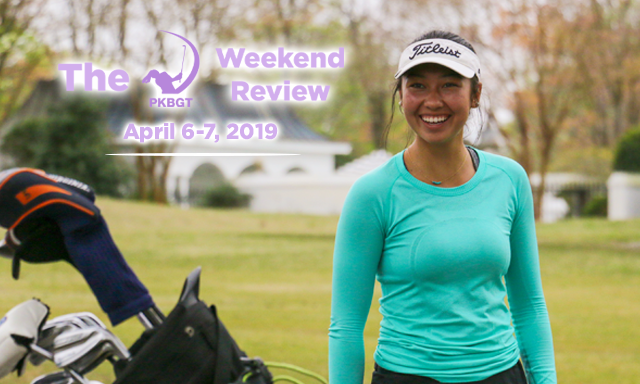 That win gave her the confidence she needed moving forward, winning two more tournaments and capturing the 2018 Storie Apparel Central Florida Order of Merit title for the Discovery division. 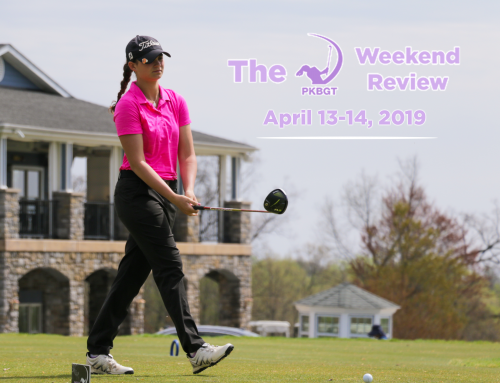 Despite all of her success on the course, her favorite aspect of the tour was the interaction with other golfers and making new friends with a shared interest in golf. Traveling to Southern Pines, Hancock would have the opportunity to form friendships with members from different states and regions. Upon arriving at Mid Pines for check-in, she was slightly nervous because of all the unfamiliar faces. As she took in the moment and the atmosphere, those nerves were replaced by the aura of excitement radiating through the air. 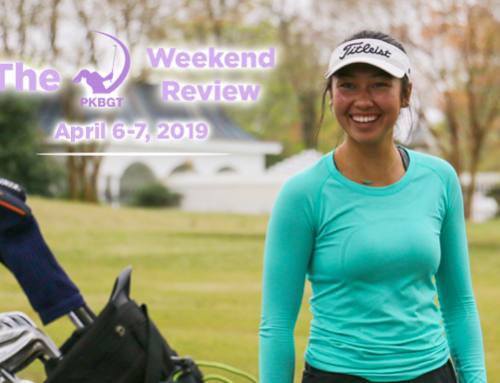 She was further surprised and joyous at the sight of several friends she met at the Discovery Invitational, a national event she played at Hilton Head Island in mid-November. As the morning festivities kicked off, Darby was able to learn more about her teammates and coaches on Team Southeast. She especially enjoyed seeing the funnier and more competitive side of her teammates in the “Minute-to-Win-It” team building challenge, a series of minute-long competitions designed to strengthen team chemistry. While it certainly helped players and coaches feel more comfortable with one another, it also provided an endless supply of laughter and smiles, concluding in Team Southeast’s dramatic victory in the blindfolded cup stack to win the Challenge. In winning the contest, Darby and her fellow champion teammates could fill their brunch plates before everyone else. After finishing their meal, the golfing portion of the weekend began. Saturday’s practice round served as a chance to play alongside teammates and receive hands-on advice from the highly-experienced coaches. The most beneficial piece of advice that Darby took away from her coaches that day: Be competitive, but most importantly have fun. Golf and life, in general, is not always about winning and losing. It’s about having fun, spending time with friends and family, and doing the things you love. Over the next two days, Darby would do just that. 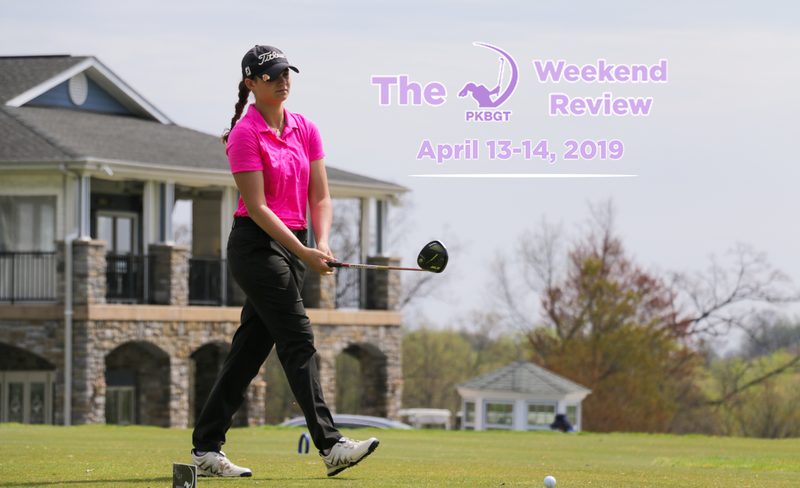 Paired with Gracie Song (Waxhaw, NC 2026), the two fell short in their first match of the tournament against Team Middle Atlantic. The down south Discovery duo bounced back in the third-place match, defeating Team North Carolina East. Most importantly, they had a blast. Darby noted that when competing individually in tournament play, a mistake only affects your game or your round. In the atmosphere of the Linville Cup, mistakes not only affect you but they affect your teammates and the success of the team. She enjoyed being able to communicate with Gracie throughout the round, and the two helped keep each other’s head up through the ups-and-downs of the tournament. She relished the opportunity to play alongside Gracie and made a new friend in doing so. As the first-time representative of Florida in the tournament, Darby experienced a variety of challenges in playing North of her home state. 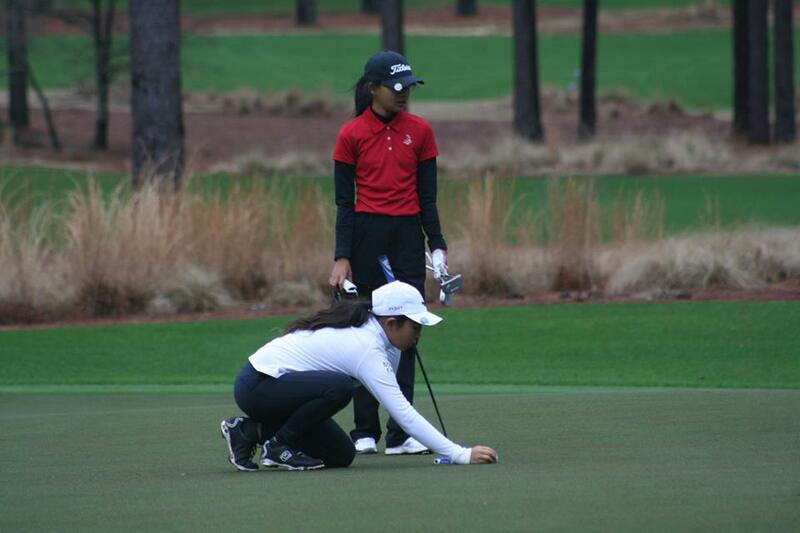 Most notably the North Carolina climate and frigid temperatures, especially in the final round, is weather that she isn’t used to playing through and challenged her, Darby noted. Additionally, the grass on the course was slightly different from what she is used to in Florida and took some adjustments to become acclimated. 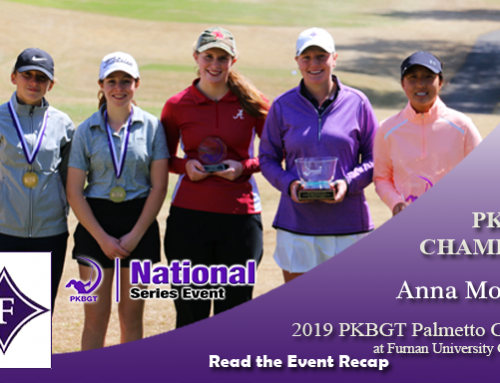 All challenges aside, Darby felt that the regional teams added a level of fun and competitiveness, wanting to represent their regions and own the title of the “PKBGT’s Top Region”. Though the competition was strong, the camaraderie was stronger. Darby says her biggest takeaway from the 2019 Linville Cup was the ability to learn from her teammates and coaches and form new friendships. Even though the other girls live in different states, Darby says they’ve already made plans to play together again. So what are Darby’s goals for the 2019 Central Florida Regional Series? 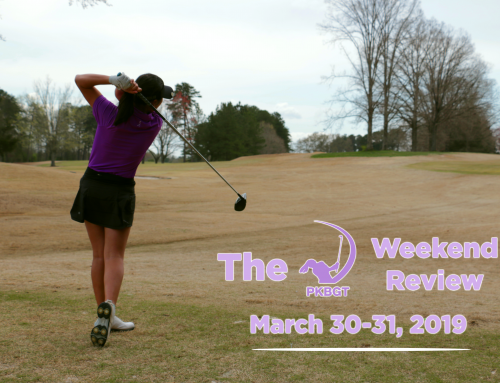 She hopes to continue working hard in practice, and play in as many tournaments as she can. 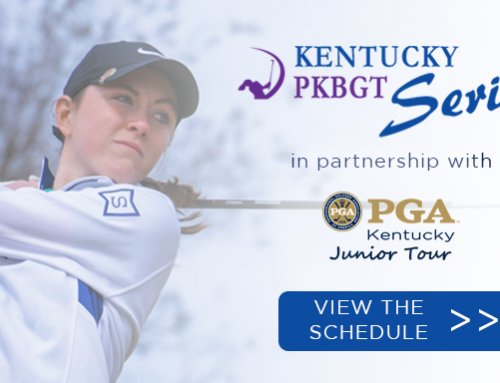 Though she’s becoming a two-sport athlete, adding basketball to her schedule this season, she hopes to continue with her success on the course and to win enough tournaments to make it back to the Linville Cup next year.